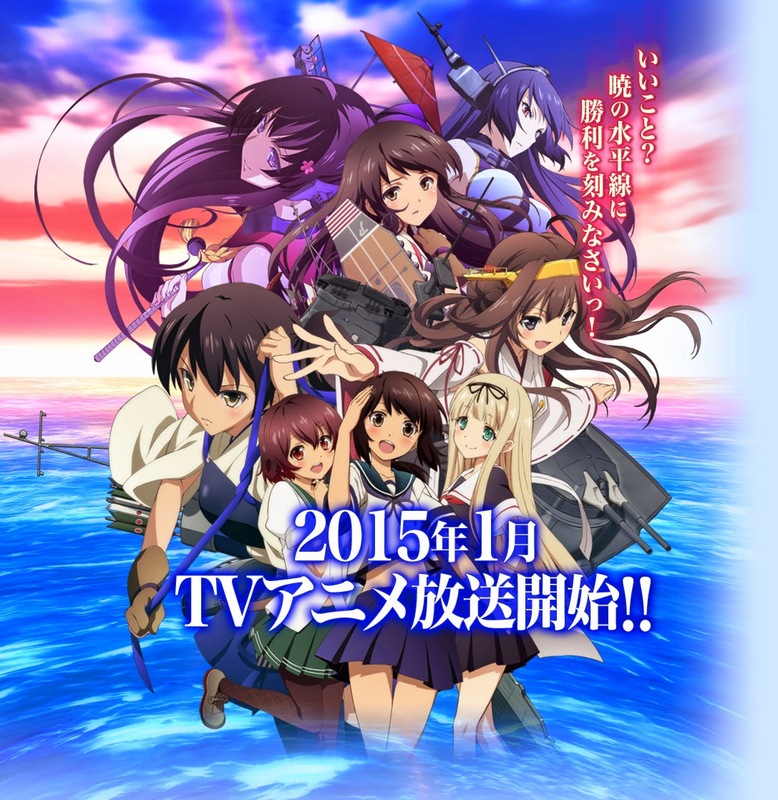 After Yuri Kuma Arashi, Kantai Collection is my second favorite show of the season. I haven’t played the game yet and I don’t even mind that I don’t know every little detail about the setting or the characters. I enjoy this show for something a lot simpler, the yuri, and I really didn’t expect to see as much as we did during the past 3 episodes. Most of my OTPs already made their appearance, while pairings like Ooi x Kitakami are as canon as pairings can be. The only thing left to say is: Keep the subtext going and the doujinshi coming! Next up we have Death Parade. I actually started watching this one solely because of the interesting looking cover image, and I’m really happy I picked it! It’s exactly the type of show I would want to watch alongside all that yuri greatness that is going on thanks to Yuri Kuma Arashi and KanColle. I love the art style, I’m at least interested in the characters and I really love the plot so far. I guess I can’t say much more after having watched just two episodes, but I really can’t wait for more. The next anime I want to talk about is yet again a show I was more or less forced to start watching, Koufuku Graffiti. I was endlessly “spammed” with yuri pics of this show and thus ended up giving it a try too. Well, it’s not bad, but I wouldn’t call it good either. It just feels a little boring and even the few yuri-ish moments don’t help make it any more interesting. At least the food looks delicious, but that’s a bad thing actually, because I always get hungry while watching this show…. 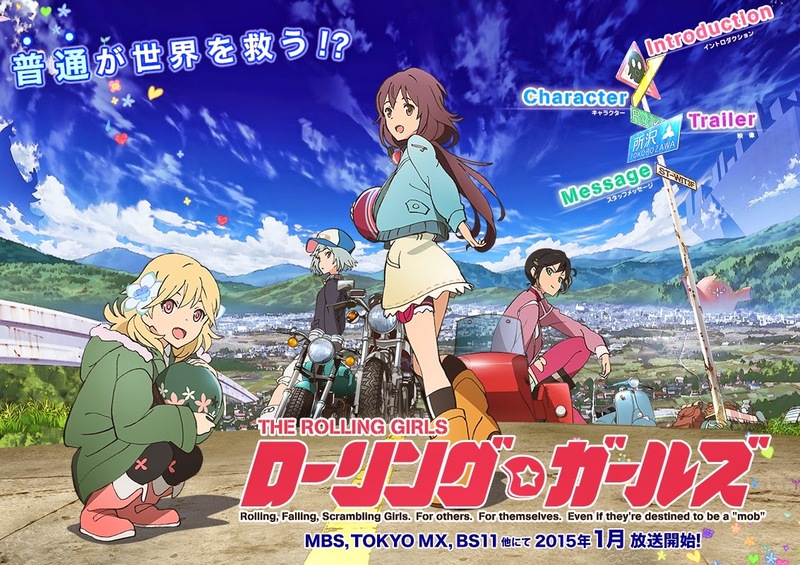 I have even less to say when it comes to Rolling Girls. It looks a little similar to Kill la Kill, which is why I hoped it would come close to the former’s awesomeness, but what I got was just… meh. I don’t know whether I’ll stick around for much longer, but I guess one more episode won’t hurt, right? Also, I’m in love with that art style, so I have no choice. Lastly, let’s also talk about Tokyo Ghoul for a bit. I really loved the first season, especially how it all ended, so I was expecting much from this new season. But all I got was a whole lot of confusion. That first episode was stuffed with random fighting and emotionless, badass Kaneki saving the day and confusing me even more. I thought this change was pretty damn amazing by the end of the first season, but right now, I think he’s even more annoying than he was before he turned into that white-haired version of himself. Yet again, I think I need some more episodes to really be able to judge this new season. 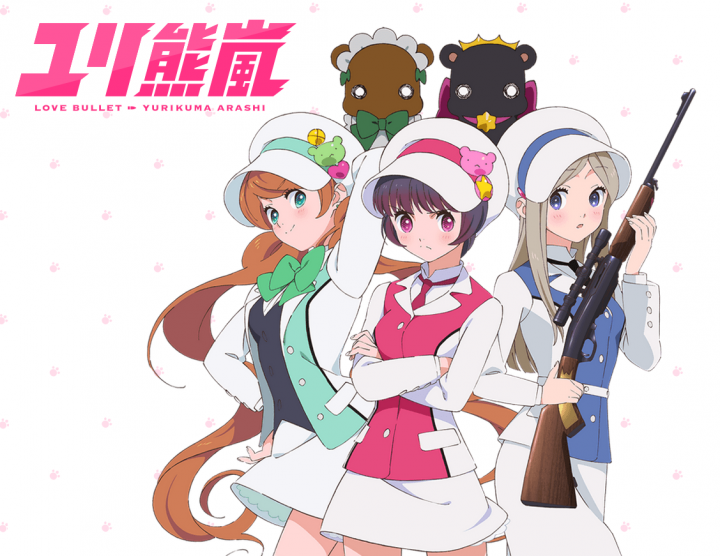 This entry was posted in 2015, Anime, First Impression and tagged Kantai Collection, Koufuku Graffiti, Yuri Kuma Arashi by Lena K.. Bookmark the permalink. KanColle: Meh. It's okay, but needs more Hibiki. And Mochizuki, the new girl with glasses. More of her too. Death Parade: It's pretty good. My favorite show of the season, by default. Koufuku Graffiti: Still remains unwatched on my hard drive. Hopefully, I'll at least give it a chance before the season ends. Rolling Girls: After 7 minutes, I gave up hope and dropped it. KLK, it definitely is not. Tokyo Ghoul √A: Dropped it during episode 2. Only became interested in seeing what happens with Touka, but I can live without knowing. Not a good season at all, IMO. hard to believe one year ago we were all so hyped up on sakura trick. I hope this year will have some great yuri shows. 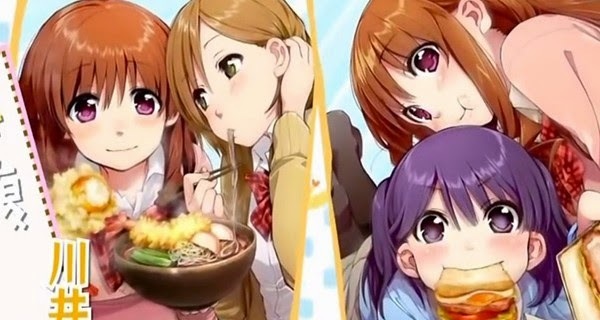 i'm somewhat excited on what the nest yuri anime is going to be. I thought the first season of tokyo ghoul was amazing but i didn't start the second one yet. I wonder how it's going to turn out. how come there reviews on the non-yuri anime ghoul and parade? is that rule to put non? I'm not quite sure what you mean, can you put it another way? @YosYoske I still haven't watched it and I'm not sure whether I will ever do that. Can you recommend it? Though, I'm surprised to see that you started even less shows than I did. Though, I don't think Death Parade is that, let's call it deep, so I don't need to read other peoples' opinion to get it. Yeah ,without hyping too much, I quite recommend it* first episode is where the yuri subtext hype gets in although that only happens at the near end of the episode. 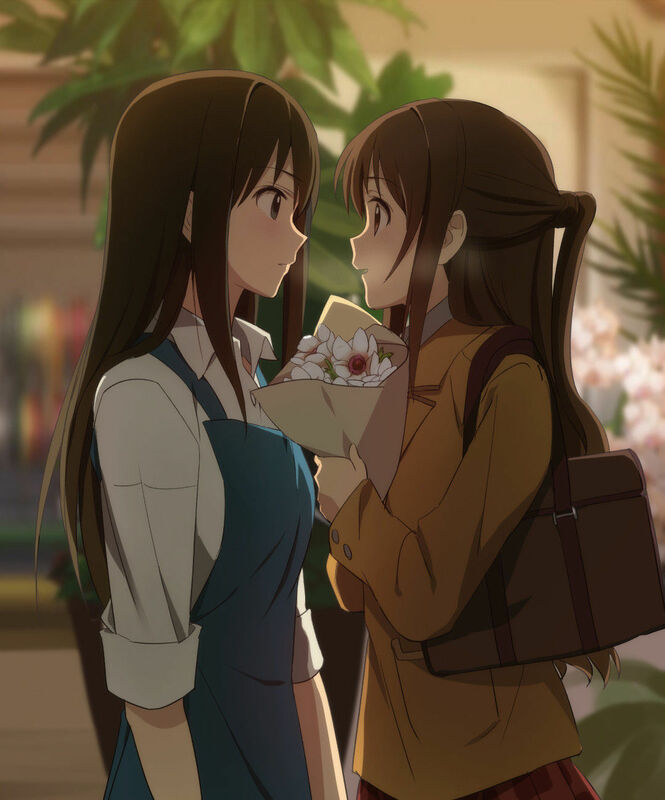 NOTICE: A chance to get certain Visual novels translated and brought over~ FLOWERS perhaps? That's my vote btw. I agree that it's one of the most interesting anime to come along in a while, I can only hope that it'll be a game changer for the genre but my guess is that it'll probably end up being remembered as a niche cult classic. I also really like seeing all the different theories and interpretations on all of the symbolism and I'm also amused by the fact that the people who hate the show the most seem to be the type of people who are fans of the type of yuri that the YKA criticizes the most. I recommend u to read the Tokyo Ghoul manga, while it can be slow at some time, its completely amazing. The thing about the second season √A, is that its completely different route to the manga, where Kaneki actually goes against the Aogiri thing. And more the that Kaneki seemed too passive till now, and a bit empty by not sharing a single thought or explaining whats going on from his pov. 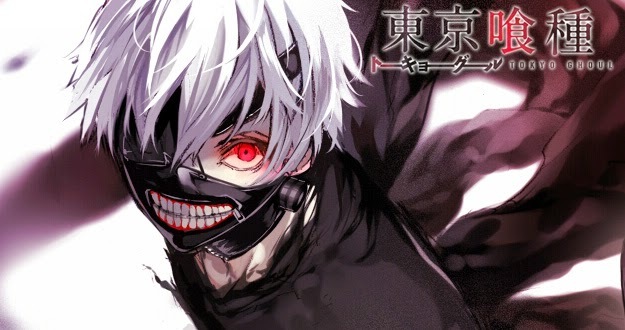 For Tokyo Ghoul, you should definitely read the Manga. The second season just total ruined it, but the manga is gorgeous. TG is one of my favourite stories of all time. 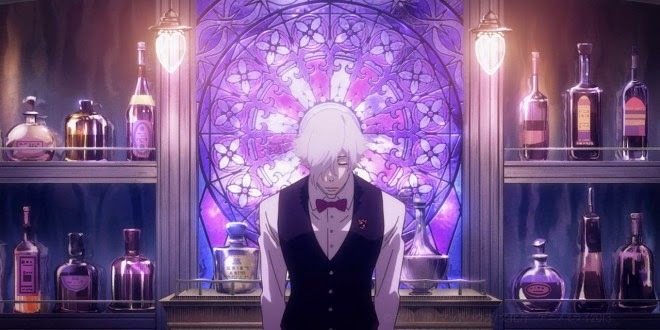 Death parade caught my interest because of its art style, too. It really is what I expected and I love it. Oh Nanoha Vivid and Nisekoi already make the next season look really good. In this case, I might give it a try sometime, though I'm already struggling with the few shows I've started, so it might take some more time. To the anon above, if you're looking for yuri-less shows, then there should be at least 2 in the list. I still hope that girl didn't die, though looking at it again, I think she actually did. I just did the survey and I think I'll post in on Twitter as well. Let's hope those two developers will get a lot of votes! The animation style of YKA really surprised me. Well, the animation quality in general is what really surprised me. Though, this is not SHAFT, but I think I understand what you mean. Wow, this is a big chance to get what we want FINALLY! I just hope people retweet this properly instead of just favourite. Forgot to add that Nyaatrap should be ticked off too >x< ' Hopefully you can amend me on this blunder with your own tweet. For YosYoske: It's not like YouTube. You have to be an admin to mark comments as spam. Tomoko?! From WataMote? I had the feeling she looked familiar. She needs to work on her cheating in card games against children. I almost cried reading that chapter. There's a vocal few on tumblr who decry YKA as a “fanservice” anime for men to anyone who'll listen, and they're determined to ignore any deeper meaning and reason behind it, I've also seen a few guys who are determined to treat the anime as yuri fanservice, ignoring the meaning and reason behind it. You can see why it's kind of an amusing situation. Thankfully both types are in the minority, most of the people who aren't willing to put in the effort to understand what they're watching have dropped it already. Yup. And sadly, I've yet to read the manga. My allergy to reading really has its drawbacks sometimes. I think you're right with that. I remember the vote for the first episode on MAL. It was so bad, I don't even wanna go back and check on it again. In case of YKA it's all about being interested enough to invest some time in thinking about what's going on. If you're willing to do that, things will finally make some sense and that's already half the rent. Hmmm, I enjoyed it, but I didn't enjoy it as much as I did with the other episodes. well, here's yet another cutely deceptive title to recommend to you, lest you hold an aversion to horror like myself. MangaTimeKirara Forward's “Gakkou Gurashi” manga. what seems to be a innocent everyday in-school life is actually an apocalypse in disguise. Like how Madoka turned out to be part of the Dark Fantasy+horror genre you know? Why I mention this title? Well, it's getting its first Anime Adaptation this 2015 Summer. recently I forced myself to read the manga ver. in preparation for what to expect, despite my strong fear for horror. Actually, after I realized what the truth of the setting was, I ended up reading every chapter (still ongoing) with a bit of increased heart pounding. I won't force you on this one nor will Iook down on you should you turn away from this one. It's quite understandable. I would too, if I hadn't forced myself to read it (and wait for the anime). I'm working on a short 10minute subbed recording of the recent 2014 december “Kimihane” Yuri VN, still translating but I'll inform again soon~ take a peek at Gakkou Gurashi hmm? I was abit touched yet in anguish by chapter 31. Also, what do you mean by subbed recording? Like a translation of a PV? I mainly recommend it as a interesting anime to watch/manga to read (31 chapters out so far), rather than yuri/subtext. With the emotional/mental breakdowns, existential crises,happy hallucinations of the main character Yuki, the constant near-death situations, and other forms of despair that the 4 girls face to survive in their school, I found it to be most interesting an emotional a read (and heart-pounding since I'm stupidly scared of the “supernatural-like biohazard” main theme of the story. 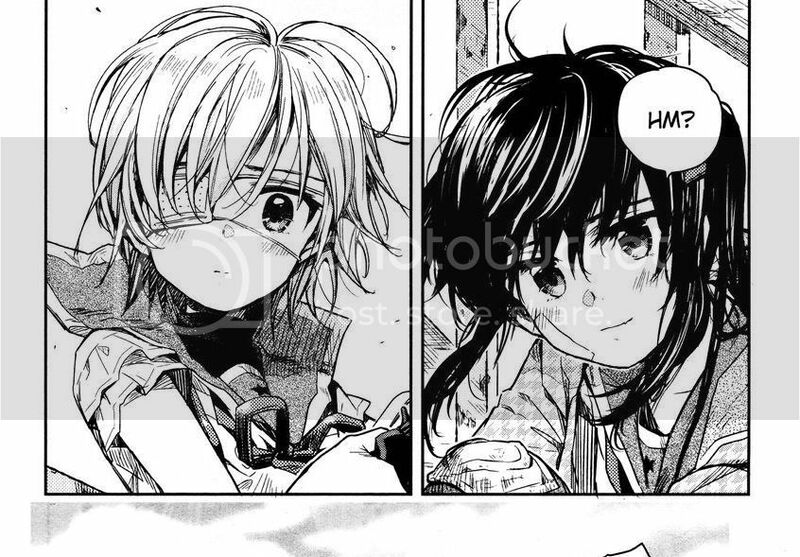 I can't take my eyes of the manga now 'cause I'm too eager (& fearful) to find out what happens to them in the end…. Subbed recording= english translated-subtitles put on a “recording”(using bandicam trial program) of a short playthru of the VN's first chapter. P.S. that vid's gonna take at least 2 weeks T_T tests and essays to do this week….